Today the fire alarm system has evolved a long way. Hence the designing of Advanced Intelligent Fire Alarm Systems as per International standards is a challenge which Heba India can easily accept & successfully accomplish. Digital Voice Evacuation is an extension of fire alarm system which is integrated with fire alarm system to provide occupants with digitally pre recorded messages to help them evacuate in case of emergency. The designing of Fire Alarm System is not only limited to providing a conceptual design, but we also provide actual design drawings which includes Shop Drawings, Installation drawings, Wiring Diagram, Input/Output Configuration which will help the installer to install the system accurately. Our design will be customized as per the various manufactures of the systems. In a huge facility one system may not be sufficient, hence it is required to use many fire alarm systems, all of which can be networked as an integrated system with information available at single window. Our design team of Heba India has designed & successfully delivered many such complex projects. Heba India offers designs for Network Integrated Systems using traditional wired technology, Optic fiber technology, IP based Networking using CAT 5 Wire or Wireless technology. Two Way Communication systems is one of the basic requirements as per Indian Standards to be provided in every Commercial/Residential Buildings. 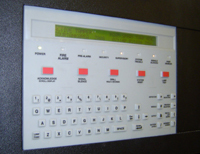 This is to provide communication between occupants and the building security personnel in the event of emergency. Heba India has professionals equipped with design knowledge to design the system as per local norms & international standards. Today’s modern commercial building has lot of facilities like HVAC, Lighting, Security Systems, Chillers, Fire Alarm System, Tenant billing. All these when integrated into single window it is called Building Management System. Heba India has professionals equipped with design knowledge to design such system as per the customer requirement.